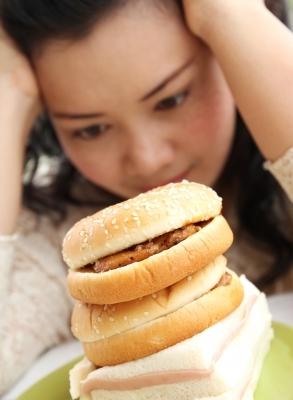 Home » Do you have an eating disorder? We found substantial evidence for the role of mental health factors both in failure to lose adequate amounts of weight or to regain any weight lost. Out of the sixteen studies included in the review, all studies that examined this factor, implicated uncontrolled mental health issues as an important cause of weight regain. These included, binge eating disorder, depression and addictive behaviours (alcohol and drug use)…… Overall, patients with two or more psychiatric conditions were approximately six times more likely to either lose no further weight or regain weight than patients without psychiatric problems. Interestingly, one study found that completion rates of behavioural modification therapy increased to 91% when performed post-operatively, compared to 14 % when done pre-operatively. So if you’re sleeved and struggling, get thee to a shrink and maximize your chances for success. Happy Monday to one and all!